akupofkatie: Q and A part 2! Q and A part 2! I woke up in such a strange world. These pregnant dreams are RIDICULOUS. Last night I dreamt that the MVP and I competed in a competition with 8 other people and whoever lost had to be hung! Thank heavens neither of us lost BUT someone did! The guy stormed out to not be hung, then felt so guilty he came back...and you can guess the rest. It was so bizarre and extremely unpleasant. Anyway, I'm determined to turn my thoughts around! I figured I'd start chipping away at these questions so buckle up! CLICK HERE if you don't know what "questions" I'm talking about. I am 19 weeks...TODAY! Next week will be the halfway mark. WOW...time is FLYING by. 2. Do you know the name of your baby? Do you have a list of names? WHAT ARE THEY? Okay people, do you think I'd tell you even if we knew??? First off, the MVP and I (mostly me) like the kind of weird unique names. I don't want to hear the opinions of those who don't like my choices! Yes, we have a list of names. There is no final name but I'd say we are getting to be pretty certain. I'm not telling you my list! You will know when we are 100% sure. 3. Who is your doctor? Do you recommend your doctor? My OB (the doc who will deliver me) is Dr. John Martin. He has a degree in family counseling as well and it's noticeable in his communication with him. I also go to a high risk doctor whom I would highly recommend! His name is Dr. Brian Iriye at the High Risk Pregnancy Center. 4. Why do you go to a high risk doctor? I have thyroid issues! The thyroid plays a huge park in our bodies and it's important to keep it under watch, especially during pregnancy. Before I was pregnant I had some hormone issues as well. Initially I self-referred myself to a high risk doctor and I was SO happy I did. As of now, I will not have a high-risk delivery but I'm so thankful I'm being watched so carefully! The grande finale for today! This baby was no accident...however, it happened rather quickly. Here's the deal. I sat on the toilet and had a little discussion with God. I told him that we were going to start trying and I couldn't handle the heartbreak of having difficulty. He says to ask, right? I've had a lot of emotional ups and downs in the last 5 years and prayed that in this area, it would come easy. Well, I think he listened because I got pregnant the first WEEK of trying. BUT, I feel its super important to know some background history. Remember when my body was super wacky? In the search box at the bottom of this page you can type in "yeast" and many more posts on this topic will come up. In the Spring of 2012 I started seeing a Doctor of Osteopathy because I knew I was off. So since then, I was working on my body, watching hormone levels, and eating gluten-free. All of these things play a huge role in fertility people! 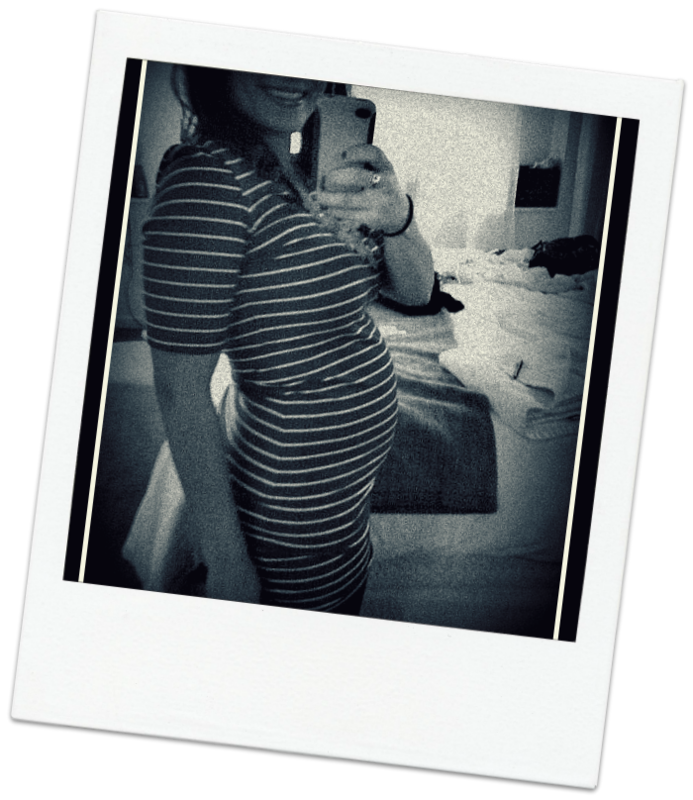 Although the intention was to get myself healthy, I knew down the road it would pay off when trying to conceive. SO MY ADVICE LADIES, get yourself healthy LONG before you even think about getting pregnant. Simple fixes and touch ups to your body could save you a world of hurt. Stay tuned for more A's to your Q's. Love this! I can appreciate your keeping the name to yourselves-be prepared for some really unhappy and totally offended people! :) Also some of the best advice for those trying to conceive to get your body right first! (Wasn't that another question?) Happy almost halfway!! We need to get together!!!! :) Thanks for reading!